According to a blog post by Sony's Social Media Director, Sid Shuman, the "online ID change feature on PSN is officially launching to all PlayStation 4 owners later today". You'll also be able to change your online ID via a web browser later today (April 10 for the US and April 11 for Europe) – you'll simply need to sign in to your PlayStation Network account to do so. 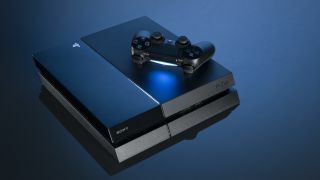 The feature appears to be set for release worldwide, but Sony hasn't announced official pricing in Australia yet. Not all games will support the online ID change feature. Sony says while "all PS4 games originally published on or after April 1, 2018 have been developed to support the online ID change feature", it found an instance where a game "did not fully support the feature" during its beta preview program last year. Sony also warns that there are a few issues that could arise as a result of changing your online ID, saying you could "lose progress within games, including game saved data, leaderboard data, and progress towards Trophies".